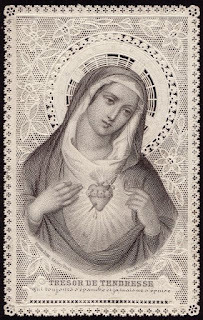 for this retreat, that they may intercede for me before the Mother of God and the merciful Saviour. 729 During the meditation on creation… at a certain point, my soul became closely united to its Lord and Creator. In this union, I recognised the purpose and destiny of my life. My purpose is to become closely united to God through love, and my destiny is to praise and glorify Gods mercy. The Lord has allowed me to know and experience this in a distinct and even physical way. I become lost in admiration when I recognise and experience this incomprehensible love of God with which God loves me. Who is God – and what am I (I cannot meditate on this any further. Only love can understand this meeting of two spirits, namely, God-who-is-Spirit and the soul-who-is-creature. The more I know Him, the more completely, with all the strength of my being, I drown in Him.